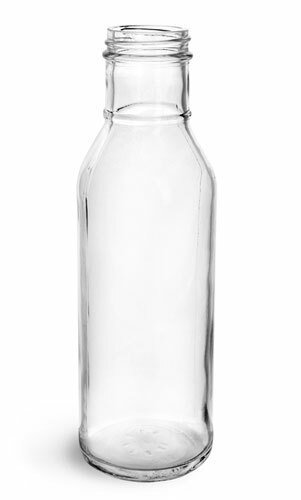 These clear glass barbecue sauce style bottles come with black ribbed foam induction lined caps. The induction liners will adhere to the container creating a tamper evident seal, and are printed with the words "Sealed For Your Protection" across the top in bright red letters. 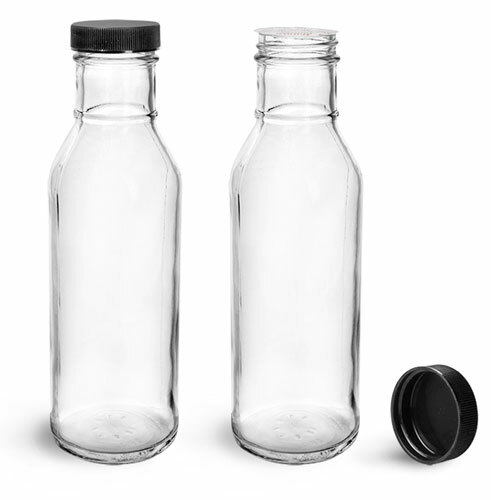 These caps must be applied to the glass bottles using an induction cap sealing system.